Satisfying cigar aficionados since the late 1800's due to its quality, craftsmanship, and beauty, the Agio Mehari Cigarillo is made using only the finest tobaccos. 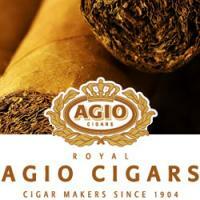 In fact, Agio Cigars are popular throughout the world, with presence in over 100 countries. Agio is a leading manufacturer of cigars, which is exhibited by its high standard of quality, finest tobaccos and a consumer-oriented policy. The Agio Tip cigar is the most popular tip cigar across the world. As the Agio Mehari is ideal for cigar smokers who are short on time but seek a fine smoke. Once you try an Agio Mehari, or any Agio Cigar for that matter, it will be memorable, rest assured.